WHAT SHOULD YOUR MARKETING FUNNEL LOOK LIKE?? What steps should be in your marketing funnel? Should you use one of these ultra low-priced offers... like a "trip wire"? Should you use a free plus shipping offer? What type of add-ons, upsells, downsells or cross-sells produce the most profit? Where's the best place to make a continuity offer? What type of email follow-up series works best? If you're unsure of how to answer questions like these for your online venture... or... you're just flat-out disappointed with your sales conversion rate and monthly income online, then this little letter may just be the most important thing you read all year. Because you're about to get the opportunity to get your hands on a little marketing funnel formula and training system that consistently out-produces any other process or system I've tested... and doesn't require any expensive software, crazy technical skills, or a massive budget. 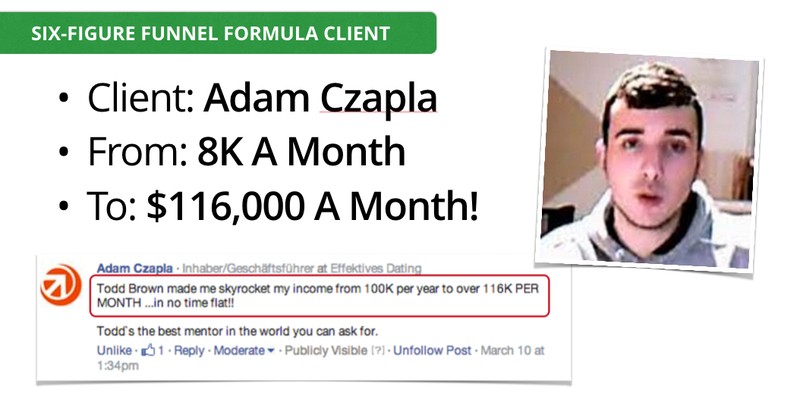 What's The Six-Figure Funnel Formula Training Program All About? Well. 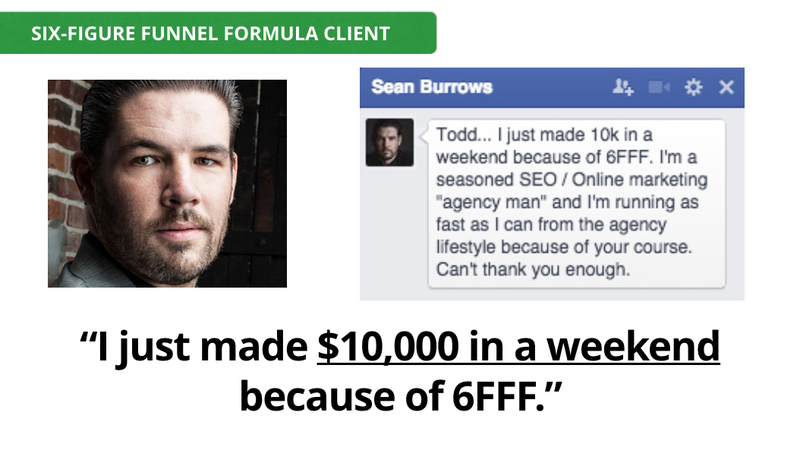 it’s a comprehensive, 12 module program, that walks you through all the pieces, step-by-step, of setting-up your first $100,000 marketing funnel using the Six-Figure Funnel Formula. It starts from the very beginning of the process and holds your hand till the very end. And the whole program is designed so you can have your first six-figure marketing funnel up and generating sales and profits for you within just 30 days max. Each module is broken-down into small, easily digestible nuggets for you for easy learning and fast implementation. This way you never get overwhelmed and you never experience any kind of info-overload. Every Module has an introduction which gives you a quick overview of what you’ll learn, as well as a recap of the key points to ensure you get each and every nugget and gem. As well, every Lesson comes with a PDF handout with all the slides and all the content covered. 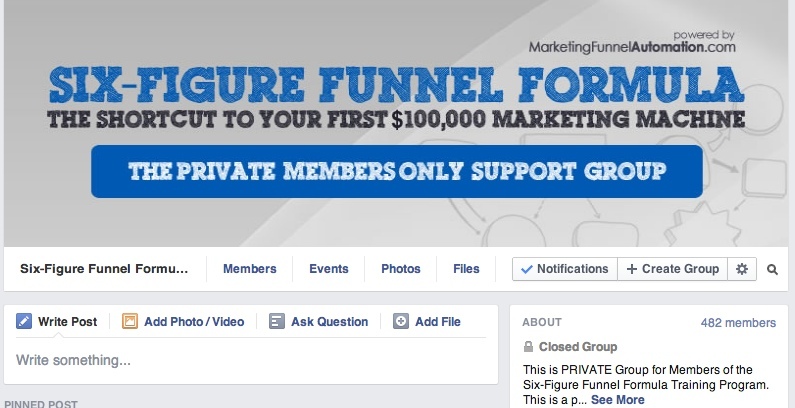 This way, you can simply follow along as you’re learning and setting-up your funnel. Inside your Six-Figure Funnel Formula Training Portal you’ll find all the modules within one click. And every Module and individual lesson is laid-out so you can simply click one button to move on to the next lesson. "The product is FREAKIN' AMAZING." The keys to selecting a viable and profitable marketplace for your new funnel! 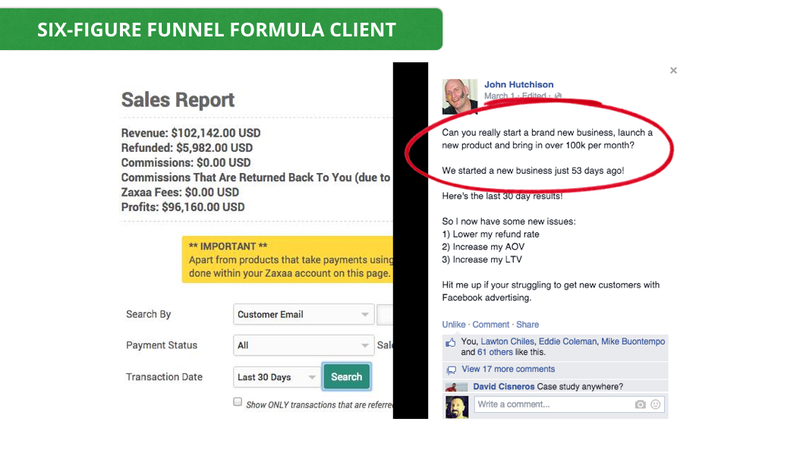 The exact indicators to look for that tell us where your funnel will generate the most profit! How to assess the competitive landscape of a market so you know exactly how to position your product and offer for maximum response and conversions! How to assess the specific Marketplace Sophistication Level for the prospects in that market! How to create your specific funnel Hook and promise that creates action and moves website visitors into you new funnel! By this end of this module you’ll be armed with and know everything needed to create a powerful marketing message for your new funnel. The keys to strategically creating a compelling Customer Captivation product! 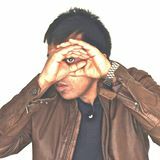 What elements these products should have, and how the big players in online marketing create and use their Customer Captivation products to generate new customers, turn those customers into long-term raving fans, and set those new customers up to buy the first higher ticket product! By this end of this module you’ll know exactly how to bang-out killer Customer Captivation products that produce lots of sales and high dollar value customers for you. How to turn website visitors into leads and prospects using the unique Traffic Captivation Lead Generation Process! The 5 elements of an effective Traffic Captivation Page, including the exact layout! 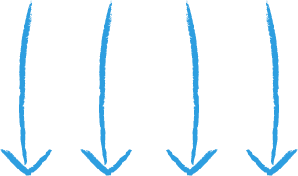 How to demonstrate and present your marketing funnel hook! How to build the page using one of a couple of different cheap tools of your choice! The cool thing about what you’ll learn in this module is that you don’t need to be a copywriting ninja or wizard to end up with an effective Traffic Captivation Page. Just follow the simple formula I give you in this module and you’ll have your own prospect-generating Traffic Captivation Page in under 30 minutes. The secret to turning fresh prospects into brand new customers and sales! 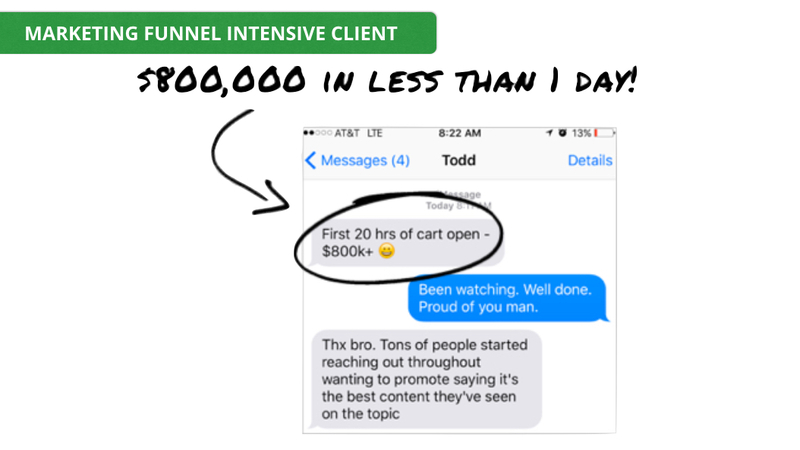 6 components of every high-converting Customer Captivation Offer! How to build and construct the perfect offer for your funnel! The 4 elements of every high-conversion Customer Captivation Page! How to create a high-converting Customer Captivation Offer Video! The steps to quickly set-up and publish your new Customer Captivation Page! By the end of this module you’ll have a page in place that will take a large percentage of your funnel prospects and convert them into first-time paying customers. The 5 pieces of a low-abandonment rate order form - an order form that converts the highest amount of views into actual transactions! A brand new way to collect payments from all your orders using one of the largest secure order processing companies online that’s actually free, and have the money deposited in your bank account within 48 hours! How to set-up the 4 Add-On Pages and offers in your Transaction Maximization Sequence and how do it so it allows new customers to take advantage of your add-on offers with simple one-click technology! By the end of this module you’ll know exactly how to collect all the money from your new funnel, at a high rate, with low fees, so you quickly get access to your funds. How to set-up a powerful Transaction Maximization Sequence! The 3 main Add-on offers in this sequence, including what they're are designed to do, the psychology behind the sequence and each individual offer! The 6 key elements of each of the different add-ons, including price-point, hook, and angle! 7 components to every high-conversion Add-on Offer page! 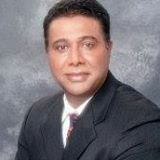 An incredibly powerful way to pump new prospects into any kind of continuity or membership program! The secret behind the Thank You Page Gift Offer... and will build a continuity income for you on autopilot! By the end of this module you’ll have a sequence in place that takes your Customer Captivation sales and multiplies the amount of money each new customer spends with you... while giving your new customers a great experience and a whole lot more value. 8 different mini-email sequences that do all the follow-up marketing for your funnel! How many emails should be in each sequence, the themes of each of the emails and sequences, including purpose, timing, and messaging! 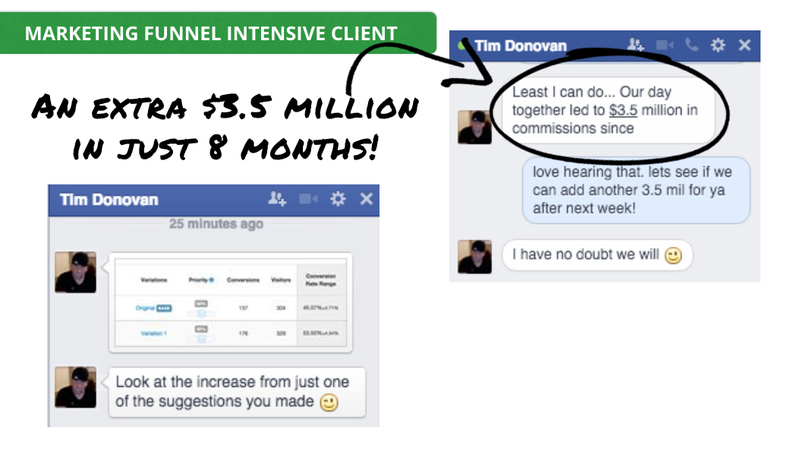 The Secret behind the Amplification Autoresponder Chain (AAC) - how it works to extract even more sales and profits from your new customers using Second Chance Offers! 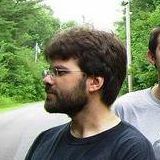 How to set-up the AAC so it runs on autopilot for you! How to set-up and power everything with one $19 tool! By the end of this module, you will have an email follow-up process in place that not only does all of your different follow-up for you, but is actually a sales and profits generating machine for you generating an even higher transaction amount for you from each of your new customers. The 3 main ways to securely deliver your products online, if you’re selling digital information products! A little-known quick and simple way to securely deliver your products online… for free… and all set-up in under 60-seconds! The details and nuances of setting-up your traffic and funnel tracking using a cheap $19 tool! How to properly set-up your tracking for pay-per-click traffic as well as one-time payment traffic! Where to go to generate your lead tracking code, what information to enter to generate the proper code, and where to place the code in your marketing funnel so you get an accurate count of how many new prospects are coming into your funnel every day! Where to go to generate your sales tracking code and where to place the code in your marketing funnel so you get an accurate count of how many new sales your funnel is bringing you every day! How to track and confirm your total revenue earned, profit, earnings per click, and your total return on investment! 13 different metrics and numbers your tracking will give you, show you which ones to pay attention to and which ones you can ignore, and show you what each metric means for your funnel and your profits! By the end of this module you’ll have complete tracking in place so you can quickly identify the specific traffic sources for your funnel that won’t be profitable for you and the ones that will be profitable, or even wildly profitable. 5 overall marketing metrics you need to know and why for your overall business, not just your marketing funnel! What these marketing metrics mean and what they tell us about your marketing! How to make decisions for your business and marketing based on what those metrics tell us! It’s one thing to know what your business and marketing metrics are. It’s an entirely different to know how to make the right decisions for your business based on those metrics. And that’s what this module shows you how to do. 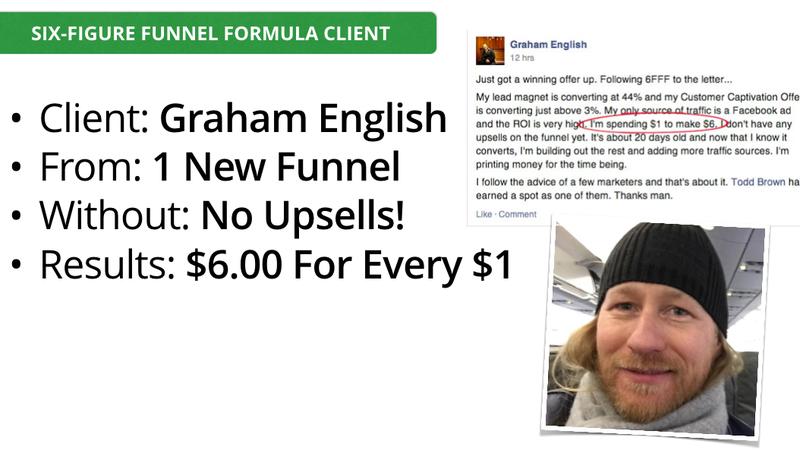 Module #11: How To Optimize Your Funnel So It Makes You More & More Money! How to incrementally force your marketing funnel to produce better and better results for you on a monthly basis using simple testing! The basics of marketing funnel testing! The only 3 things you should be testing in the early stages of your new funnel! A free tool you can use to do some simple testing so we can start optimizing your funnel right away! How you can really take your funnel results to a whole new level with a little bit more advanced testing (Including the exact tool I use)! 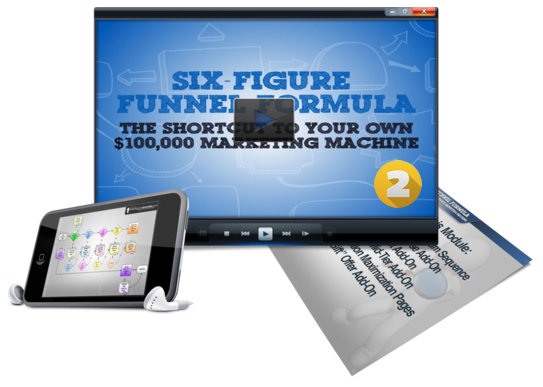 By the end of this module you’ll know exactly how to take your simple six-figure funnel and turn it into a powerhouse funnel that produces thousands of dollars of profit every week for you. 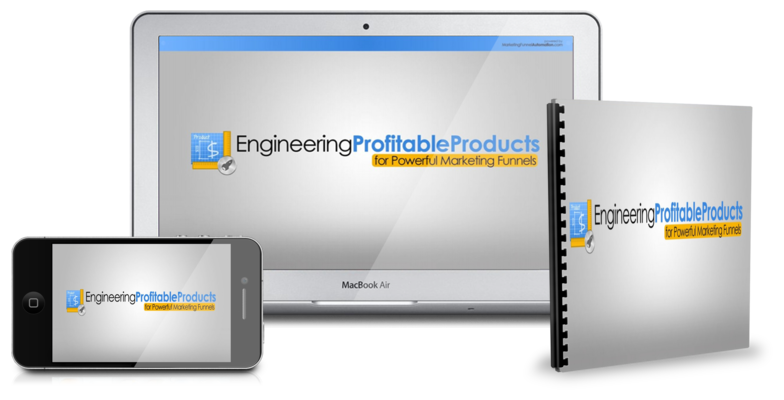 The part of your marketing funnel where you’ll extract 90% more profit - the Customer Backend! By the end of this module you’ll know how to think about the next offer you’re going to present to new customers, what that offer should be, the price point, and what it should it deliver to customers and how. And, how to continue this process over and over to extract more and more profit from customers while delivering more and more value to them. 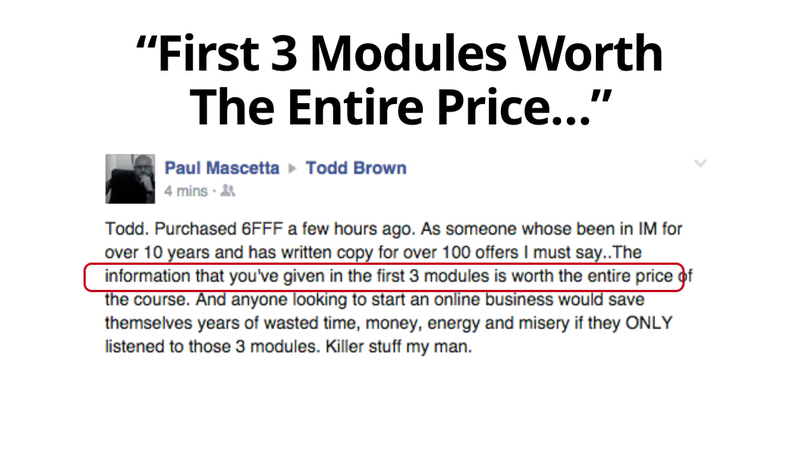 "Just went through the first module and it’s PURE GOLD!" "Started into Module 1 immediately after signing up...TOTALLY BLOWN AWAY...this training - the very best..."
"I have gone through the first three modules and all I can say is WOW!" “I have only finished Module 1 & 2 and my response is ”JUST INCREDIBLE”. "I've only reached Module 5 and so far... JUST AWESOME!" 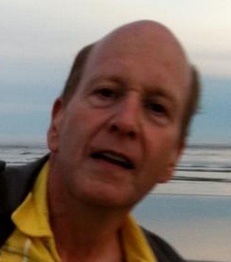 "I'm BLOWN AWAY by the quality of the course content..."
"Hey Todd... Thanks for the AWESOME COURSE. 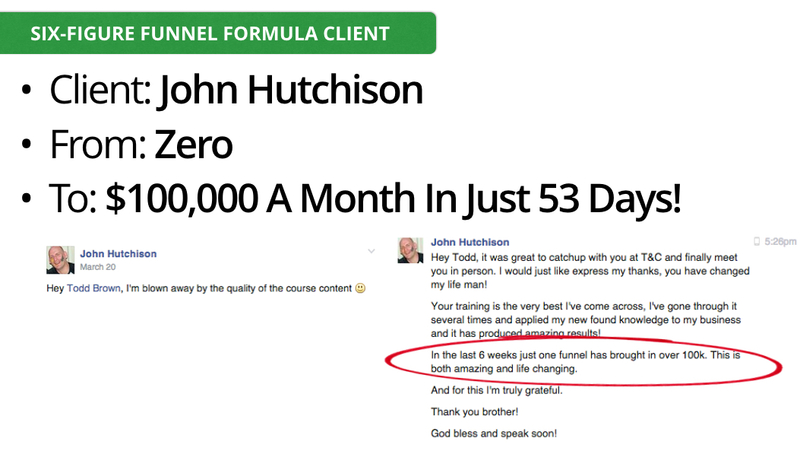 Your training has made me re-think every thing I thought I knew about the funnel process..."
"I'VE NEVER EXPERIENCED ANYTHING LIKE THIS! Nothing else even comes close. This is worth thousands and then more." 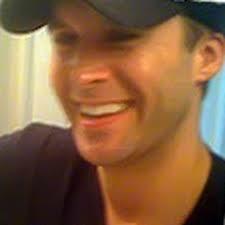 "Todd... wow Im VERY THRILLED to be part of that training... the Q/A.. 4hours.. are you for real...you're a beast man!!! "I'm about to start module 6, but before I do I have to take a minute to say that I have learned enough already to justify the cost of this course..."
"Hey Todd. Your training makes the rest of the marketing out there look like a ghost town. 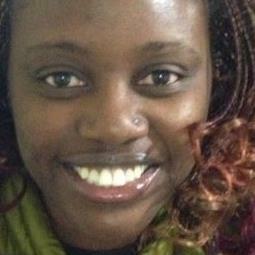 The very first modules OPENED MY EYES to why so much does not work." 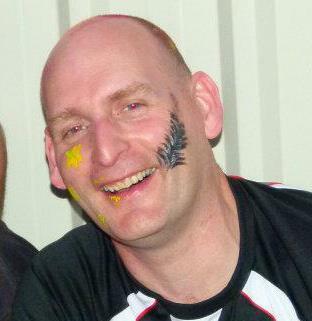 "Been through all the videos once and think the course is absolutely SUPERB! Quite the best I've ever been on..."
“I absolutely love what you’re doing. 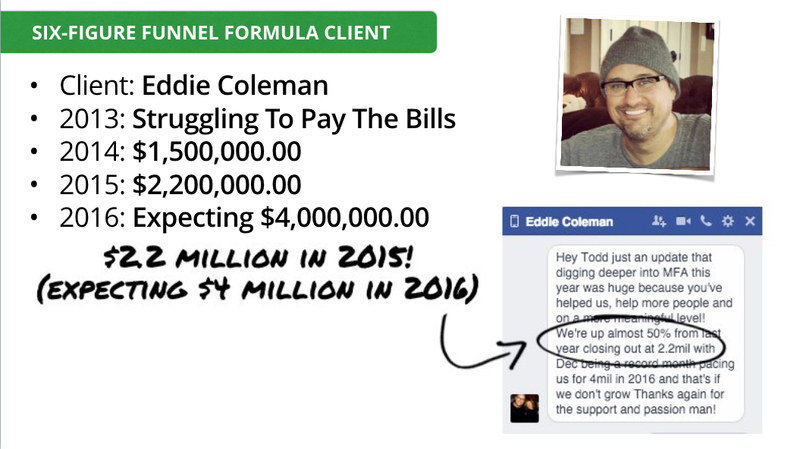 "Just finished going through 6FFF core training... Todd is BLOWING MY MIND. OMG." "Todd has over delivered to a ludicrous extent. Everything about THIS PROGRAM IS OVER THE TOP!" "The value just keeps rolling in. AWESOME. 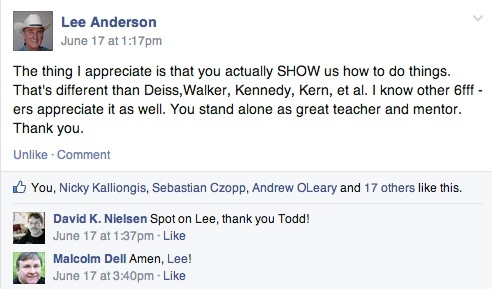 Thanks Todd!" 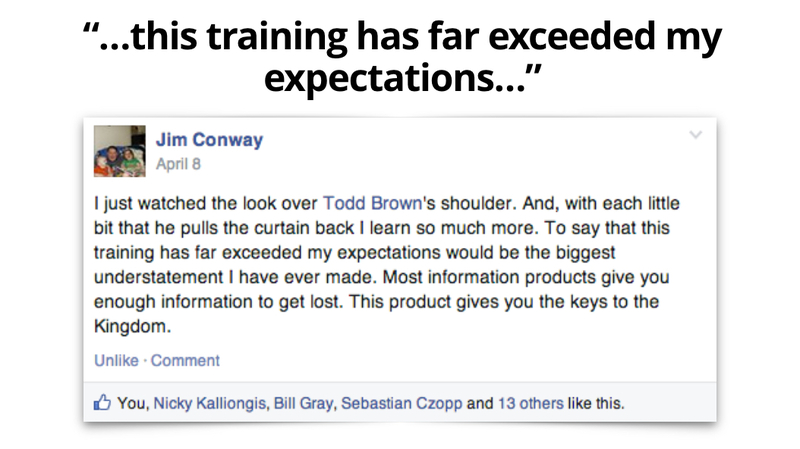 "Great I mean GREAT TRAINING so far Todd Brown! You always "under promise and over deliver"!" "Looks like we have no other choice than to be YOUR LOYAL CUSTOMER FOR LIFE!" 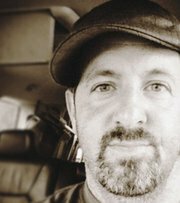 "Enough Respect to Todd Brown for the Q&A today and helping us out and giving us such quality answers to our questions. I seriously didn't expect this, and he is CERTAINLY OVER DELIVERING." 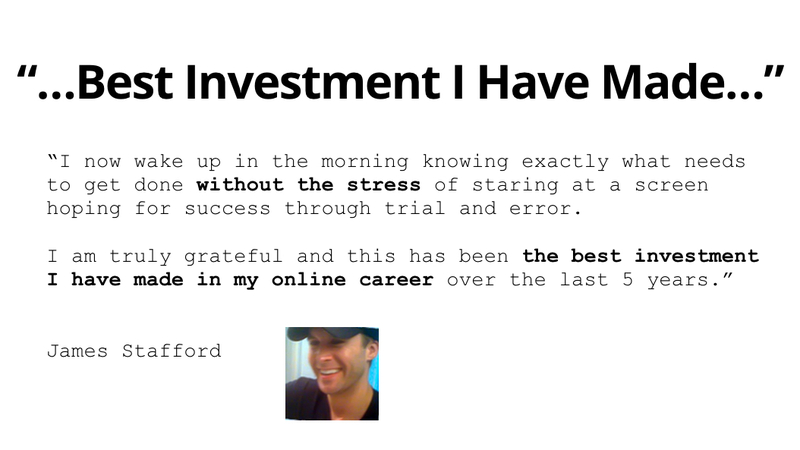 "I am truly grateful and this has been the BEST INVESTMENT I have made in my online career in the last 5 years." 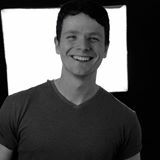 "Todd Brown, you inspire me and I AM STOKED to be part of this program and create as much value for others as you're creating for me." "Todd is the REAL DEAL. No hype. No BS. 2 1/2 hours of SOLID content and STILL ROCKING!" 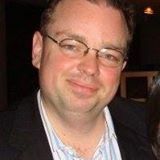 "I don't think I have ever seen SUCH VALUE from a IM purchase and had information given so freely and regularly - thanks Todd its much appreciated here"
"Todd, thanks again for this INCREDIBLY AWESOME super professional training! I have seen a lot of trainings and this is one of the best I have seen so far!" The next component I think you’re going to love is called the Ultimate Marketing Funnel Cheat Sheet collection. 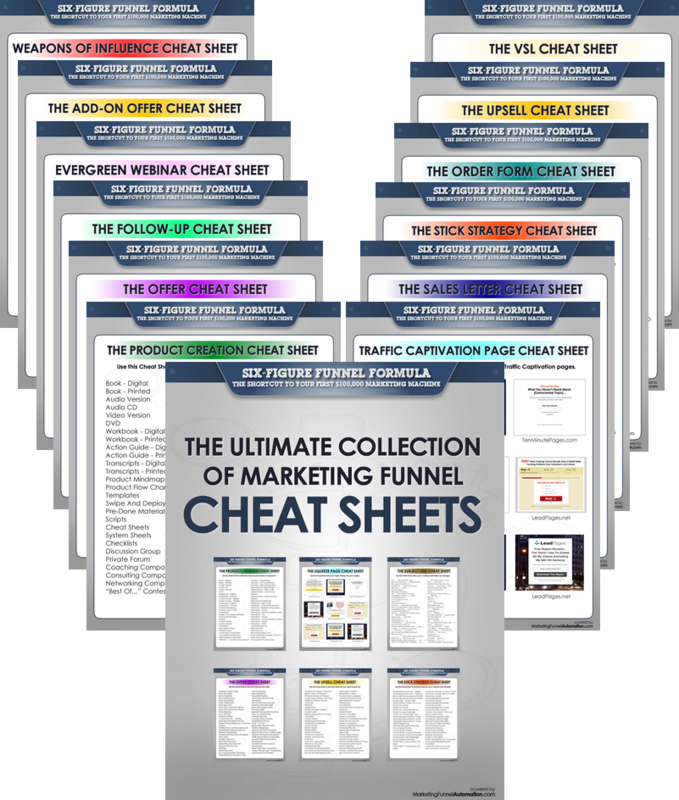 This is a collection of over a dozen different cheat sheets for you to use while setting-up your first six-figure funnel, as well as to refer to when you’re setting up new six-figure funnels in the months to come. And this is just the beginning, because I’ll be adding more and more cheat sheets for you over the coming weeks and months as I create them for myself and my team. "Hands down THE BEST PROGRAM I've been in!" 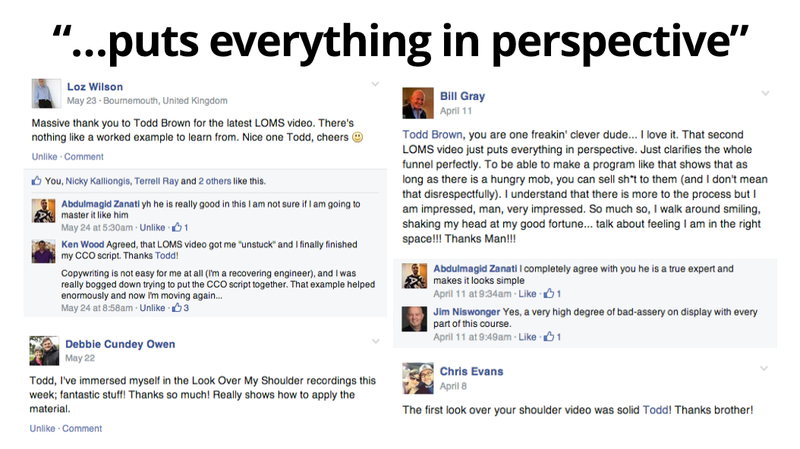 "The last few months have been LIFE CHANGING because of you and this course." "Todd, I have to say, this is the ABSOLUTE BEST PROGRAM coaching I have taken, you go above and beyond." You also get access to a private customers-only Facebook Support Group. Here you can interact with other marketers also building their first six-figure funnel, ask questions, and get inspired and motivated with a community of like-minded marketers. And just as a side-note: This is one of the most active, most supportive marketing groups I have ever encountered. So, you'll be welcomed in with open arms, get the encouragement and direction you need, and reap the benefits of others' knowledge and experience. "Todd I really just want to say that I'm blown away by the help, support and content delivered in this FB group alone, put that with the actual course and calls and I'm OVERWHELMED WITH AMAZEMENT! Thanks for all of this and for everything you're doing!" To give you access to some incredible additional resources, I’ve gone ahead and done something rare and special for you. 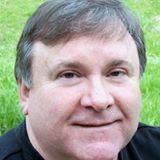 I had my director of business development, Andy Hussong, reach-out to some of the top marketers and online marketing companies to arrange special discount deals for you on some of the top internet marketing tools and resources. Now let me be clear about something, this is not one of those resource directories where I set it up to earn affiliate commissions off of you. Instead, what I did for you was ask these different vendors and marketers to take the affiliate commission they would pay me, and instead, just deduct it from the price so I could pass along an awesome discount to you. In many cases, the discounts on these killer tools and resources is up to 50%. Then, I took all of these amazing offers and assembled a Six-Figure Funnel Formula customer-only resource directory for you. So, if you want some additional training on topics outside of creating your funnel or if you want to add a new tool to your toolbox, you’ll save a bunch of money so you can put that money towards driving more and more prospects into your new funnel or just blowing on some fun. And, just like with the Ultimate Collection of Marketing Funnel Cheat Sheets, I’ll be adding more and more discount offers for you over the coming weeks and months. You’ll even have the opportunity to request a particular tool or resource at a discount, and we’ll go to bat for you to see if we can happen for you and the other members of Six-Figure Funnel Formula Training Program. "Anytime Todd releases a new product, I'm taking a serious look, because I know he's THE REAL DEAL." This is a brand new 90-minute training that covers every aspect of creating all different types of information products. This entire training was designed from beginning to end specifically for members of the Six-Figure Funnel Formula Training Program. It gives you everything you need to know to create all types of products, including: print, video, audio, compilation, interview, screen capture, CD's, DVD's, membership site content, newsletters, webinars, teleseminars, and more. As well, you get a list of all of the different tools, resources and software we use in-house to do all of our video and audio creation. 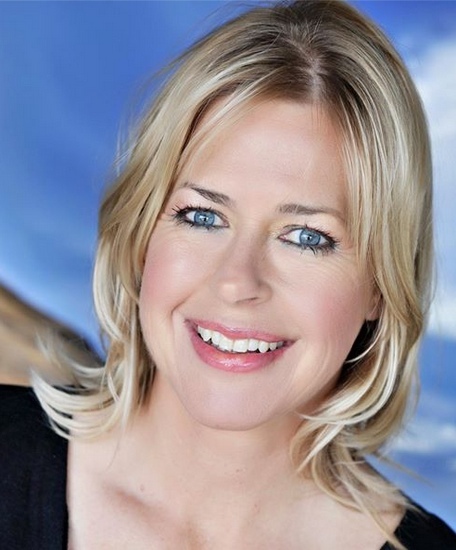 "Of the last ten years I've worked with A level people in the IM world, from Kern to Halbert to Carlton, and Todd is one of the top 5 savviest people in that group. INVEST IN HIS COURSE today. You won't be disappointed." A couple of weeks ago I hosted an extremely rare eight hour... YES! 8 hour... live Google Hangout. I invited 8 of the top marketers to come on and share some of their best strategies and tactics within their area of expertise. Each agreed to come on and have me grill them for about 45 minutes or so on their particular topic. 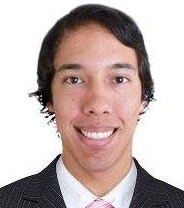 Ryan Lee spoke about creating big-money continuity programs for steady consistent income production. 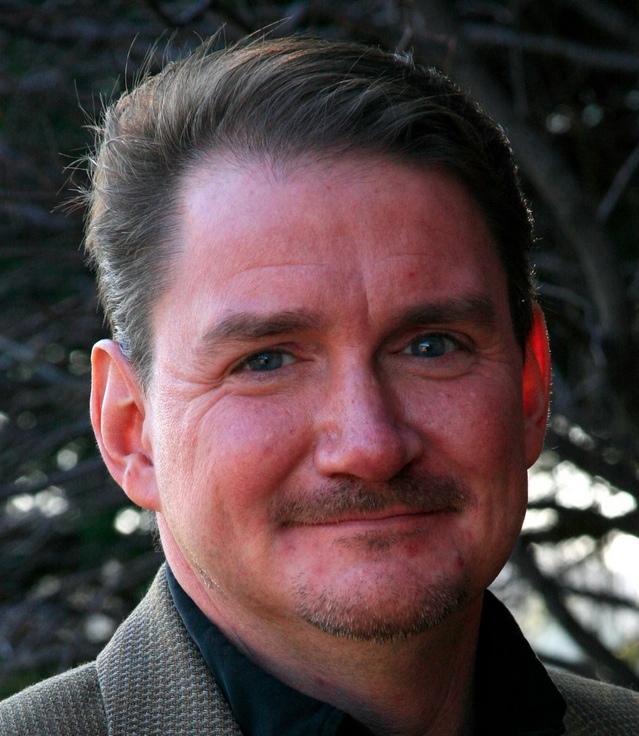 Don Crowther spoke about using social media to pump new prospects into your marketing funnel. 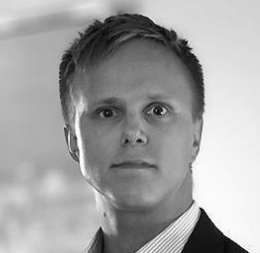 Luke Jaten talked about using direct mail as part of your funnel follow-up. 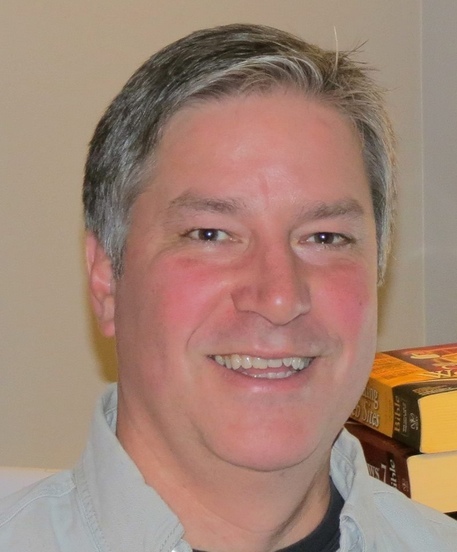 Matt Bacak spoke about using email as part of your post-funnel marketing communications. 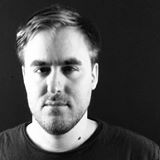 Jason Fladlien spoke about creating and testing new products before setting-up a full-blown funnel. 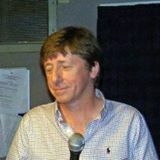 Charles Kirkland spoke about driving traffic and tons of prospects into your marketing funnel. Rich Schefren spoke about strategy. Not too mention everything I shared. Well, I recorded the entire 8 hours. And, when you register for the Six-Figure Funnel Formula Training Program today, you're going to get access to the entire thing. 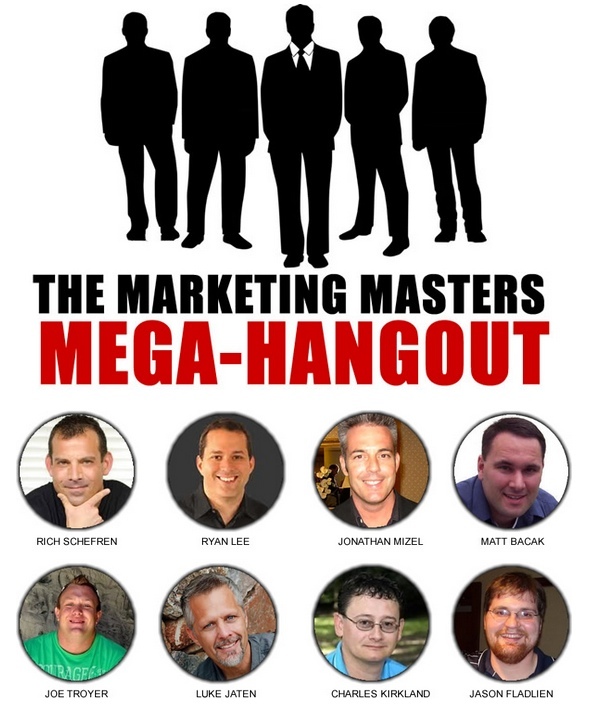 Outside of this offer, the Marketing Masters Hangout is currently NOT available. When I do offer it to the public, it will be a price point between $149.00 and $249.00. Right now you get it for FREE. The secret to getting started with media buying for a brand new funnel! RESOURCES! : The best tools for tracking various sources of traffic, including mobile traffic, PPV, solo ads, Facebook Advertising, etc., (and why you should NOT use just one tool for all channels)! The only two numbers that determine when a traffic campaign should be scaled-up! WARNING! : The common method of using Custom Audiences with Facebook Advertising that puts your account on Facebook's radar and can get your account permanently suspended! 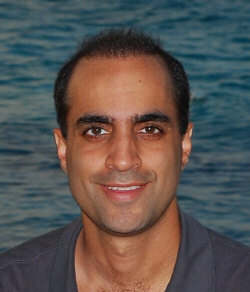 Gauher Chaudhry's method for doing competitive intelligence to uncover what's working right now to generate sales in your marketplace! How to minimize potential losses from your first paid traffic campaign! How to use a full-fledged Squeeze Page with Google Adwords without getting your account slapped or banned by Google! What specific metrics to look at when analyzing a new paid traffic campaign... and what decisions to make based on what those metrics tell you! Native Ads? 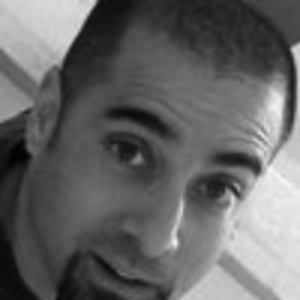 Gauher Chaudhry exposes the myth of Native Ads and what you should focus on instead with a brand new funnel! 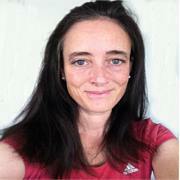 How to build a Customer Avatar when you operate in an obscure, smaller niche! Why you absolutely need to use a "Suppression List" when paying for Solo Email Ads! How to use Facebook Graph Search to identify targeted prospects to pinpoint with your Facebook Advertising! Which should you focus on first: (1) Increasing your sales conversions or (2) Decreasing your traffic costs? Justin Brooke shares the answer! 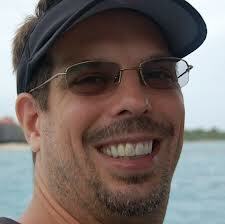 The "Million Dollar Tool" Charles Kirkland uses every day to create high-converting ads! (This one document has been worth seven figures to Charles). BRAND NEW! 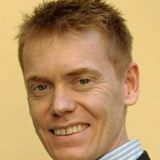 : Justin Brook shares the difference between Contextual and Behavioral Targeting when paying for traffic! How to get a 70% opt-in rate with YouTube Pre-Roll Ads using two specific targeting options! The B.D.F. 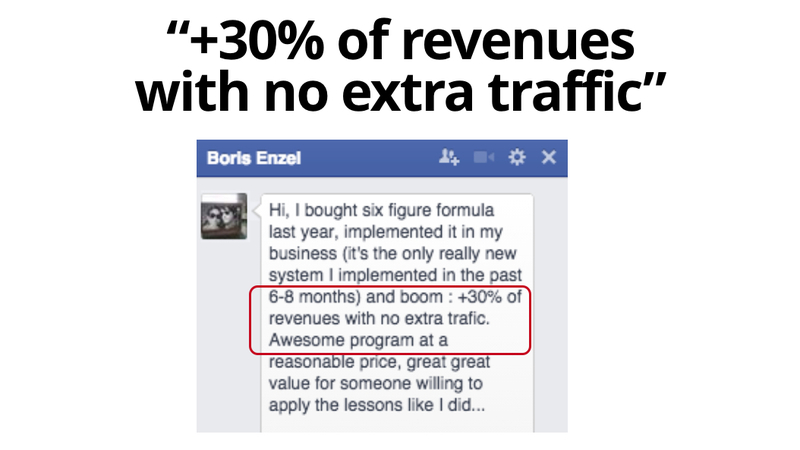 Formula for crafting a marketing message that converts like crazy with cold traffic! SECRET! : How to continue using Google Adwords after your account gets banned! 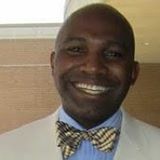 Charles Kirkland's single go-to traffic source for testing brand new marketing funnels! DETAILED! 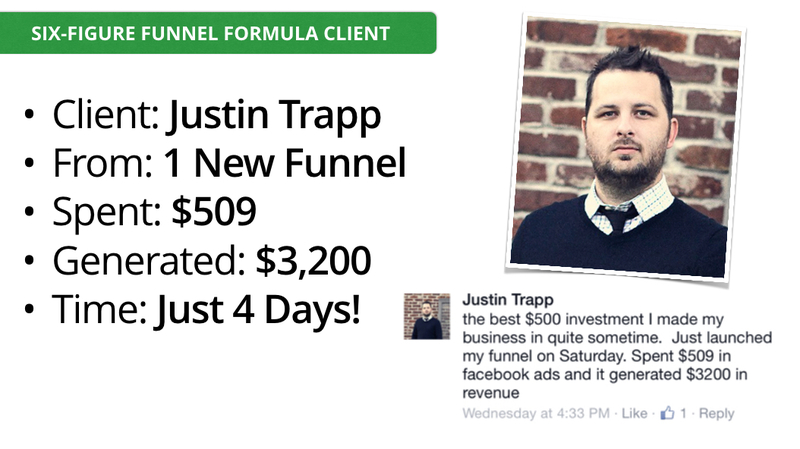 : Justin Brooke's go-to 3-Step Facebook Advertising System that he uses to generate fans, leads, and sales for his paid clients! 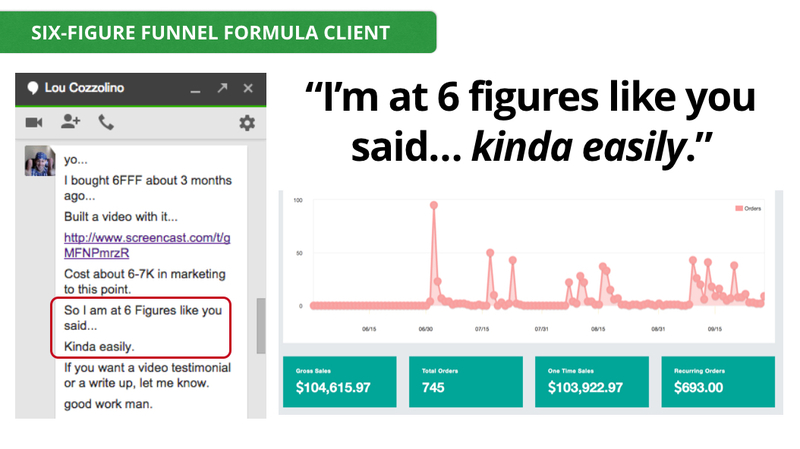 What to do once you start running a new paid traffic campaign to make sure to analyze results and determine when it's time to scale! 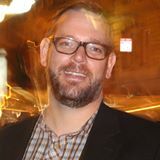 Charles Kirkland's "Fart In Study Hall Method" for creating ads that stand-out! 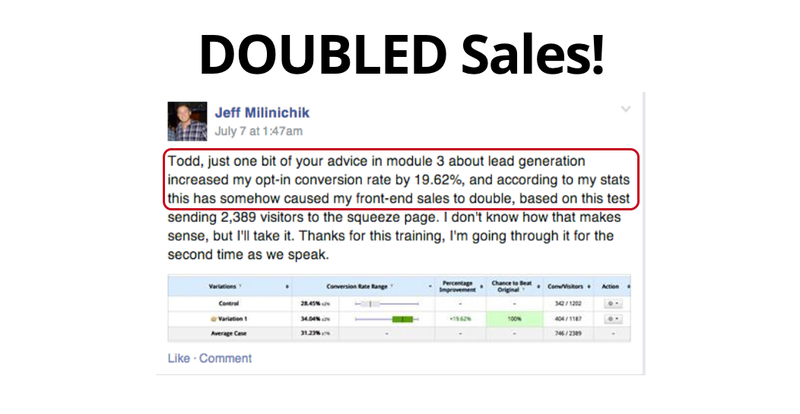 How to know when it's time to hire someone to do your traffic generation for you! 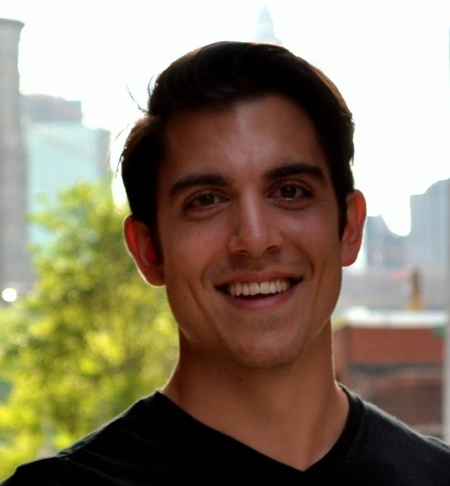 Jonathan Mizel shares the Minimum Viable Funnel method he uses to test new funnels and offers with paid traffic! How to use both Demographic and Psychographic Targeting to pinpoint the perfect prospects for your offer! AVOID! : The one specific traffic channel no marketer should ever use when testing a brand new marketing funnel! Why you must handle mobile traffic differently from desktop traffic... and what you need to do to convert mobile traffic into new sales! "When Todd Brown releases something, JUST BUY IT. One of the best marketing educations you can get." I had prior 6FFF Clients choose a brand new niche... one I had no affinity with, no experience, no relationships, and no connections. 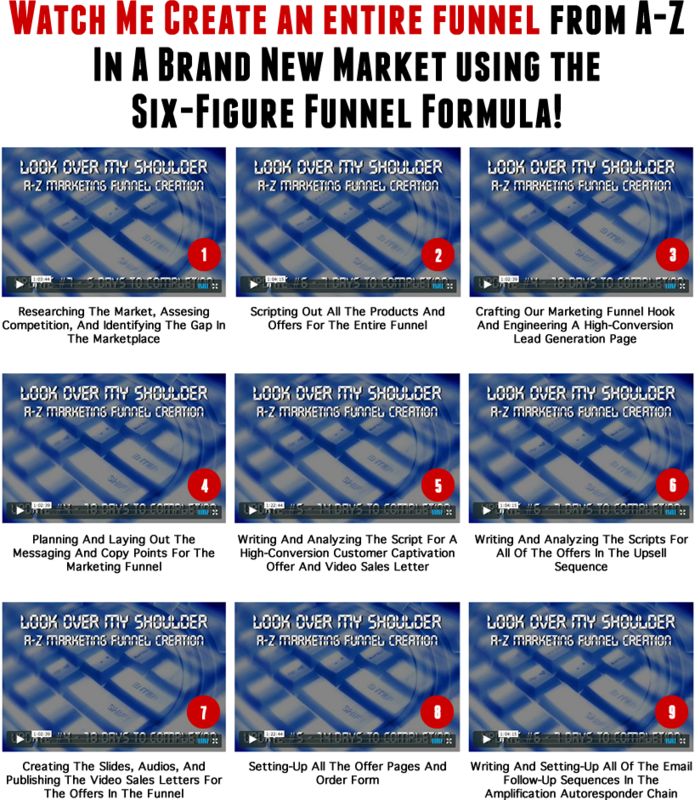 And, from A-Z, from beginning to end, I created an entire marketing funnel using the Six-Figure Funnel Formula. And I filmed the entire thing. I explain what, when, where, why, and how I did everything. If and when the time comes that I offer this series of look-over-my-shoulder videos to the open market, it will be priced anywhere from $499.00 to $699.00 dollars. For now, today, you get access to the entire thing absolutely FREE! DISCLAIMER: As with any business, your results may vary, and will be based on your individual capacity, business experience, expertise, and level of desire. 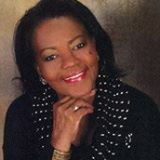 There are no guarantees, promises, representations and/or assurances concerning the level of success you may experience. Your level of success in attaining the results claimed depends on the time you devote to the business, the ideas and techniques mentioned, your finances, knowledge and various skills, since such skills and factors differ according to individuals.